Please note that the Rupee rate (LKR) is valid for Sri Lankans only. The Sri Lankan National ID is required to proceed with the LKR rates. 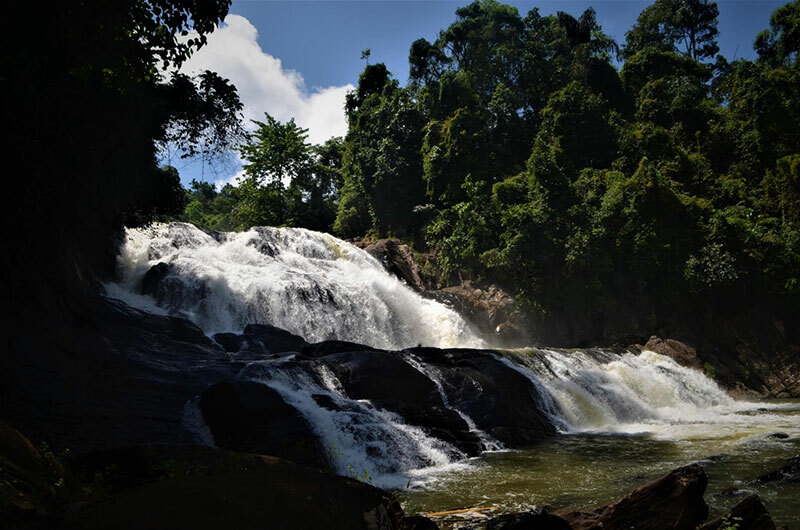 The source of the fall is the Deniyaya Gongala mountain range and the stream flows on to the Ginganga River at Pallegama. Hathmale Falls (45m high and 10m wide) is the tallest fall in the Ginganga River and is split into seven segments (‘hathmala’). It is popular with both local and foreign visitors. Renowned worldwide, Ceylon tea is one of Sri Lanka’s primary exports. It all started when British-born James Taylor first began developing Ceylon tea at the country’s first tea estate, Loolecondera, in 1867. 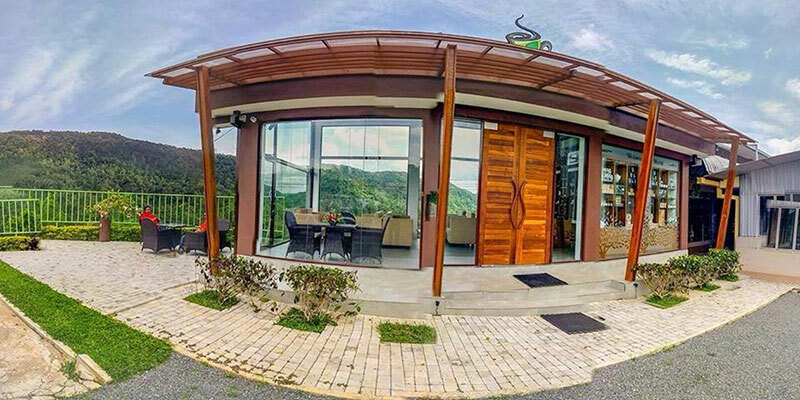 Located in Kandy’s hill-country, the estate’s tea plantations soon spawned a tea factory and Sri Lanka’s tea industry has been growing ever since. As many as 28 different grades of Ceylon tea are produced at plantations across the island, from the country’s biggest tea-growing region, Sabaragamuwa, to the sparsely populated Uva province in the south east. 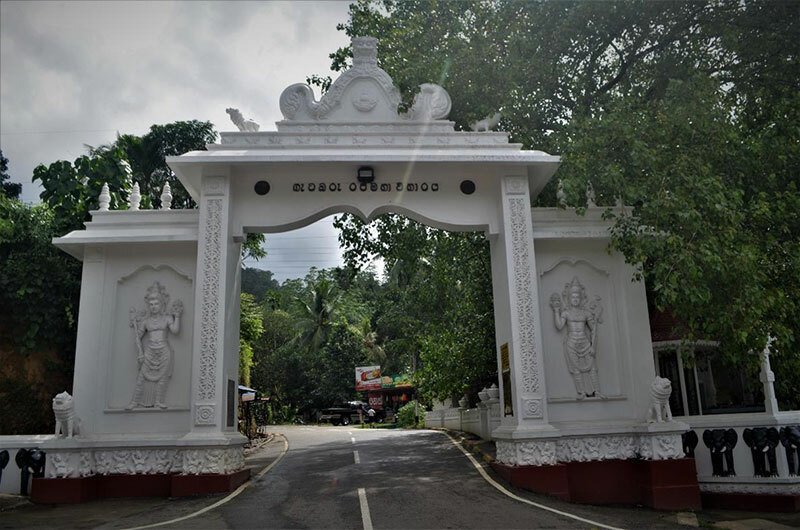 Raja Maha Vihara of Getabaruwa is located on the summit of famous Getabaru Kanda at an elevation of 1500 feet above the mean sea level in the village of Katapola between 45-47 mile posts on Gall Deniyaya main road, and within the area of authority of Divisional Secretary’s division of Kotapola in historic Matota, the birth place of many learned and wise sons and daughters of Mother Lanka. The mountain which gives a charming splendid scenic beauty even at a distance is surrounded by many guardian attendant mountains. 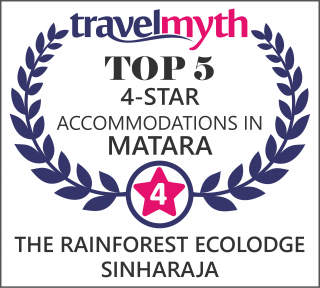 On one side it is connected to Rakwana hills and the virgin Sinharaja forest and on the other side to Morawak Kanda mountain and is extended to the thick forest. Natural beauty around the temple is charmingly attractive to the eye. It is rich with rare medicinal plants and local animal species. The peak is a unique creation of Mother Nature. The Raja Maha Vihara of Getabaruwa located on the peak is 1 ¼ miles from Kotapola Bazaar. is the devale of god Ragguru Bandara and on the other side are the devalas of gods Vishnu and Kataragama. Morawak Korale had been under the administration of ancient Kandyan Kingdom. This korale is bounded on the north by Sinharaja forest of Sabaragamuwa. The path from Morawak Korale runs through Kurulu Korale, Kolonna Korale, Bulutota hills and Samangia on which summit Lord Buddha’s sacred foot print is preserved and then it leads to the Kandyan Kingdom. Nobility of Bandaras and paying howage to Bandara devas has spread from Sath Korale to Kandyan kingdom. During the Polonnaru period the title “Bandara” was associated with the personnel who were very close to the royal family and they were in charge of the financial activities and were also known as “Bhandagarika” in short Bandaras were the chief personnel of the king’s Treasury. In the year 1760, the governor had enquired from the Nayake Theros of Malvatu Vihara the method of succession to Sinhala Throne, Nayaka Theros of Malvatu Vihara had informed the governor that in the absence of a person from the royal family, the custom was to select a suitable person for the kingship from “Badaravatiya”. Although Bandaras did not claim kingship directly, it can be decided that they held the position of leaders in remote regions. Bandaras who held regional leaderships had been deified in the passage of time. Historical documentary evidence bears testimony to this fact. As a result the concepts of “ Bandara Hath Kattuwa, Bandara Dolos Kattuwa and Bandara Hetahath Kattuwa had been rooted in the society. God Rajjuru Bandara is addressed by several titles. Batahira Deviyo, Rajjuru Bandara Diviyo, Patha Hamuduruwo and Getabaru Diviyo are few such titles. As these gods enforce their powers in the western section of Ruhuna they are known as “Batahira Devindu” or “Basnahira deviyan” bandara gods are known in various names and the cult of worshipping Bandara gods prevails mainly in Kandyan areas. The only Bandara god to whom low country people pay homage is the god Rajjuru Bandara. *The above mentioned rates are per person and in USD. Transportation from the hotel to the above mentioned sites and back to the hotel.